We left Lake Houdraman, Quilpie and headed off to Coopers Creek for a free camp. When we arrived we found there was going to be a fishing competition at the creek. As we thought it may be a bit crowded we headed into Windorah Caravan Park. It cost $15 per night for power site with hot showers, washing machine and clean amenities. A bargain! It was very peaceful here. Many travellers left there van here and travelled to Birdsville. When they arrived back it took all day to get the dust out of their cars but they all enjoyed the adventure. I was without internet here. There was internet at the information centre so ‘most mornings’ I went to check my emails. This was good therapy for me. I thought I would be lost without Internet but I coped very well and survived! Oh! Most shops here also closed at noon Saturday, too. 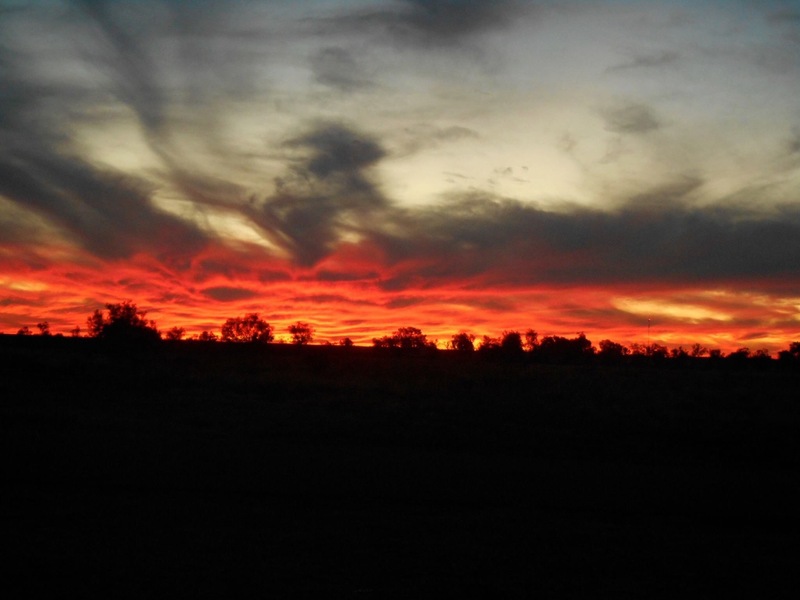 This was the sunset on 7th June taken from Windorah caravan park. 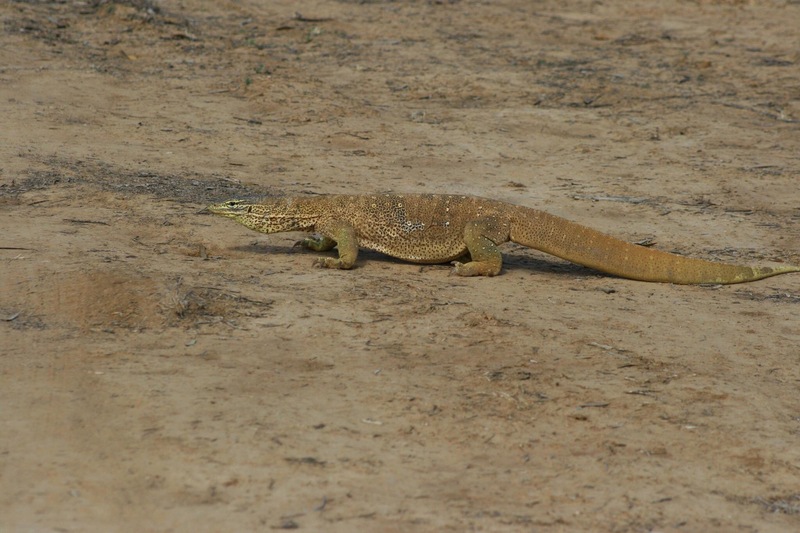 And this was the resident goanna at Lake Houdraman, Quilpie.